Google's very hot on the whole web apps topic, with it promoting things like Chrome Apps on both Chrome OS and Android, as well as things like Instant Apps, introduced earlier this year at I/O. Well, it seems like Google is preparing another assault, this time with 'Progressive Web Apps,' a way to make web apps more powerful and useful to end users, plus make it easier for developers to put them together. A Progressive Web App is a powerful web application that can be used anywhere, on any OS. As you use the app more and more, it gradually will get more powerful. The app loads quickly, can send push notifications, and if you add it to your Android homescreen through Chrome, it will act like a 'real' app, in full screen with no browser chrome. However, Progressive Web Apps also have an extra special use on Android: they can be packaged into WebAPKs. This gives Progressive Web Apps more integration with the core Android OS, making them feel very much like native apps; fast, fluid, and with the same material UI. This is achieved by the app being packaged into said WebAPK, which can be placed on the homescreen with an icon and name. WebAPKs also have greater permission abilities than standard Progressive Web Apps, and use their allocated resources more effectively. 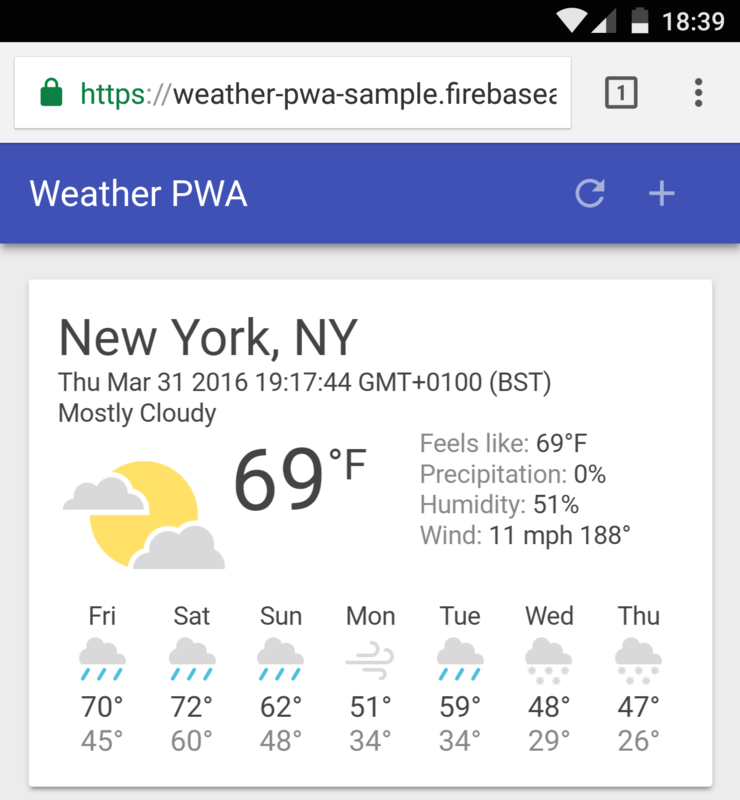 You can test Progressive Web Apps in Chrome 47 or later (the current stable version is 52); Google's sample is a simple Weather application. WebAPKs, however, are only available in the latest, off-the-trunk Chromium builds, which you can grab here.